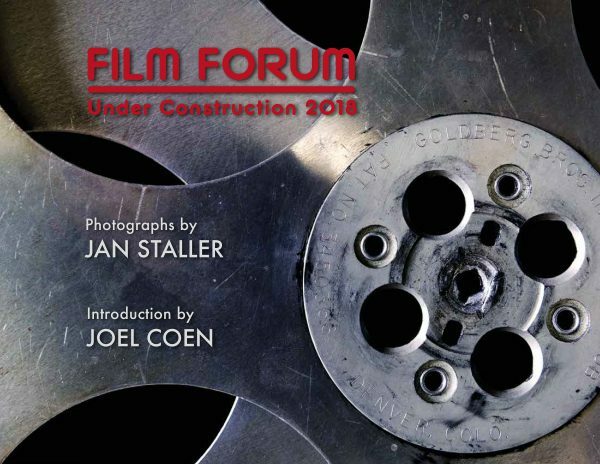 Film Forum Under Construction 2018 a monograph of images made during the recent expansion and renovation of the Film Forum cinema was published in December 2018. Limited to 500 copies, the book is comprised of 45 color plates, with an introduction by Joel Coen, co-writer and director, most recently of THE BALLAD OF BUSTER SCRUGGS. Preface to the book is by Film Forum Director, Karen Cooper. Available at Filmforum.com or thru the artist.